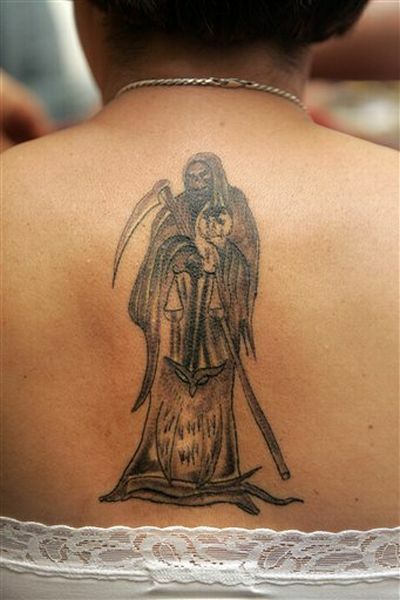 Now Santa Muerte will no more scare you. Though, everyone still loves the skeleton, but now there will be no reason to criticize as Santa Muerte has changed its official image Sunday from that of a skeleton holding a globe and scythe to one of a female figure wearing a crown, in a cramped chapel in a working-class neighborhood of Mexico City. ← Who is carrying the name of Casey on her foot?